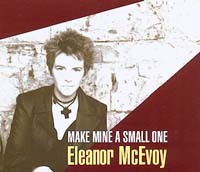 Eleanor McEvoy came to prominence during the 1990s with a slew of highly acclaimed and commercial releases on major labels. Her eponymous, 250,000 selling debut on Geffen - re-issued by Market Square last autumn with extra tracks - came with a calling card in 'Only A Woman's Heart', a song which was to inspire numerous covers and become a brand for a series of top-selling multi-artist compilations. 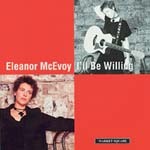 Her 2002 release - 'Yola' (Market Square MSMSACD113) - revealed Eleanor's growing orientation to more rootsy material delivered within a suitably acoustic frame and the album's warm, kitchen table appeal won favour with fans and critics alike. Its superb production qualities, rendered in the fast-growing super-audio (SACD) format, drew favourable attention from the audiophile sector (Hi Fi + Magazine Record Of The Year) as one of the first original titles recorded specifically for SACD, the album later that year springing from it the world's first SACD single in 'Did I Hurt You?' (Market Square MSMSACD114). 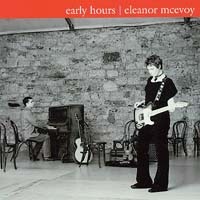 'Early Hours' takes McEvoy's music to new heights. Couched now in a mature jazz/blues context, her melodic and sensitive songs - packed as ever with wryly insightful social observation - benefit from first rate performances from McEvoy and her amazing players. 'Early Hours' is all the more sumptuous for the high quality recording at London's Metropolis Studio and for its innovative and successful exploitation of the latest generation audio format of dual-layer hybrid surround/stereo SACD/CD. You'll Hear Better Songs (Than This) - Driving Home From Butler's - Where Did My Life Go? �I developed a love of Shakespeare when I was about 10. My sister took me to see "Twelfth Night". I went eight times. The producer of the play gave me a copy of the Complete Works of Shakespeare, and I really took to the Sonnets.